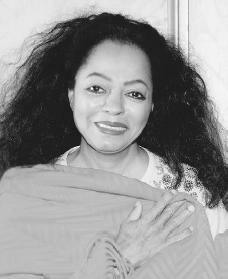 Diana Ross, once the lead singer for the Motown supergroup the Supremes, was the most successful female singer of the rock and roll era. In the next few decades, she continued to enjoy success with a solo career and numerous television and film appearances. Diana Ross was born on March 26, 1944, in Detroit, Michigan. She was the second of six children of Fred and Ernestine Ross, who lived in Brewster-Douglass, one of Detroit's low income housing districts. Because of her tight-knit family Ross grew up virtually unaware of the harsh life that surrounded her. While her family was active in the Baptist church choir, Diana learned secular music (nonreligious music) from a cousin. She played baseball and took tap dance and majorette lessons at Brewster Center. among its members. She sang with the Primettes throughout her high school years at Cass Technical High School, where she took sewing and fashion design courses. The male counterparts of the Primettes were called the Primes, and their members included Paul Williams (1939–1973) and Eddie Kendricks (1939–1992), who would later form part of the Motown superstar group the Temptations. Yet another Motown superstar, Smokey Robinson (1940–), introduced Ross and the Primettes at Motown Studios, where they visited frequently until they met Motown producer Berry Gordy (1929–). Gordy instructed Ross and her friends to finish high school and come back, which they did in 1962. Ross, Ballard, and Wilson then signed a contract with Motown, and Ballard selected a name for the group—the "Supremes"—a name that Ross disliked. The Supremes released a number of singles and often sang background vocals for Marvin Gaye (1939–1984) and Mary Wells (1943–1992). "Let Me Go the Right Way" became the first Supremes song to register on the national charts, and it enabled the group to join the touring Motor Town Revue. "Where Did Our Love Go?" was their first national number one hit, selling over two-million singles, and the Supremes became the Revue's opening act. Ross's ambition and talent helped the trio turn the fierce competition for recording songs at Motown in their favor, and she became the group's lead singer. The Supremes proceeded to lead Motown and its outstanding artists into its heyday in the 1960s with a series of number one hits that included "Baby Love" (1964), "Stop! In the Name of Love" (1965), "Back in My Arms Again" (1965) and "I Hear a Symphony" (1966). A popular television group, the Supremes continued to skyrocket in popularity along with the Motown label, and their principal songwriting team—Eddie Holland, Lamont Dozier, and Brian Holland—produced many more of their number one songs, including "You Keep Me Hangin' On" (1966), "You Can't Hurry Love" (1966), "Love Is Here and Now You're Gone" (1967), and "The Happening" (1967). Holland-Dozier-Holland left Motown in 1967, and the Supremes entered their next phase with a new billing as Diana Ross and the Supremes. Florence Ballard was replaced by Cindy Birdsong, also in 1967. The year 1968 brought "Love Child," yet another top hit, this one written by the Supremes themselves. By this time rumors had begun to circulate about Ross leaving the group, and they reached their peak after her successful performance on the 1969 television special "Like Hep." Ross's last single with the group was the number one hit "Someday, We'll Be Together" (1969). She began her solo career after their last appearance together in January of 1970. Things would only get better for Ross. Motown Records invested heavily in her new career, which debuted with "Reach Out and Touch (Somebody's Hand)" (1970). Many changes began to take place in her personal life as well. She had helped the Jackson Five get its start with Motown and Berry Gordy, and she had moved into her new Beverly Hills home. In 1971 Ross was married to Robert Silberstein, a pop-music manager, with whom she had three daughters—Rhonda, Tracee, and Chudney. Ross was cast as the legendary jazz singer Billie Holiday (1915–1959) in the Motown film production Lady Sings the Blues. Her critically acclaimed performance earned her an Academy Award nomination for best actress. In 1973 she returned to her customary position atop the national record charts with "Touch Me in the Morning." Her next film was Mahogany (1975), from which her "Theme from Mahogany" (1976) was nominated for the Academy Awards' best song in a motion picture and topped the record charts again. After her third daughter was born in 1975 she and Silberstein were divorced. Ross's hit parade continued with the number one "Love Hangover" (1976). She closed out the decade with a Broadway show entitled An Evening With Diana Ross (1976–1977); a March 6, 1977, television special that featured her alone; and a portrayal as Dorothy in Motown's film production of the Broadway show The Wiz (1978). Ross continued to perform in concerts, in Atlantic City and Las Vegas casinos, and at charity functions. Her 1980 single "Upside Down" was her sixteenth number one hit, a record surpassed only by the Beatles. She moved to Connecticut with her three daughters and in 1985 married Norwegian businessman Arne Naess, Jr. In 1989 Ross made a return to Motown with a new album titled Workin' Overtime, and in 1991 she worked with Stevie Wonder (1950–) and other artists to make The Force Behind the Power, a group of modern ballads. In January of 1994, she was highly praised for her role as a mental patient in the ABC television movie Out of Darkness. But tragedy tainted Ross's newfound success in film in 1996 when her brother, Arthur Ross, and his wife, Patricia Ann Robinson, were found smothered to death on June 22, in Oak Park, Michigan. Ross and her family put up a reward of twenty-five thousand dollars for any information leading to an arrest. In September of 1996, two men, Ricky Brooks and Remel Howard, were charged with the killings. Police had no motive at the time, only to say that drugs were involved. Ross's attempt to jumpstart her professional career has been a difficult one. In 2000, a much-hyped reunion tour with the Supremes was canceled after only a few shows. Concert promoters noted lack of ticket sales as the reason for the cancellation. Another reason was the dispute between Ross and Mary Wilson, who turned down the reunion tour because she was offered considerably less money than Ross. Brown, Geoff. Diana Ross. New York: St. Martin's Press, 1981. Davis, Sharon. Diana Ross: The Legend in Focus. Edinburgh: Mainstream, 2000. Haskins, James. Diana Ross: Star Supreme. New York: Viking, 1985. Ross, Diana. Diana Ross: Going Back. New York: Universe Publishers, 2002. Wyeth, John, Jr. Diana Ross. New York: Chelsea House, 1996. I am beginning to love the Supremes for some odd reason, even though they played in the 60s and 70s. To make things weirder, i am 11. I do not care, I will love them no matter what!!! I hope to sing just like her!!! A woman of courage, determination, and talent. Thank you for giving yourself to the world. Blessings to you.